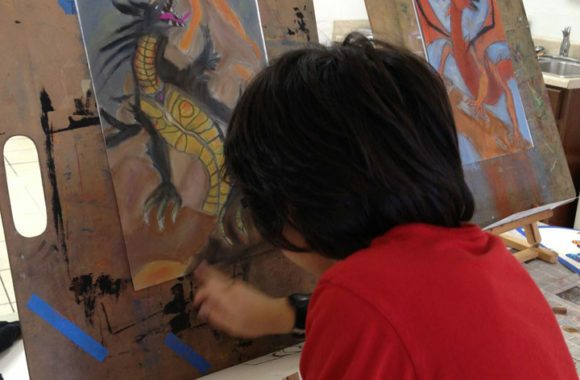 Summer ART Camps for children and Teens at ART+ Academy. Welcome to our Summer ART Camps. If you are looking for a fun, creative and instructional summer art camp, look no further– you found us! 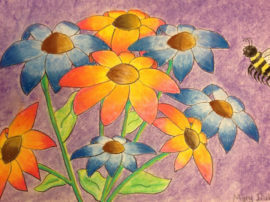 Join a half-day drawing and painting summer art camp with a perfect balance between fun and instruction. Come see how serious we are about teaching art in a fun way. If you’re a young artist seeking to improve your drawing and painting skills, check our schedules below and select from a variety of themed summer art camps for a variety of interests. If you’re a child or teenager between the ages of 5 and 17, we have a class for you. Our ratio is one teacher to every eight students with a maximum of 16 students per camp. For camps with more than eight students, a teacher’s assistant will be present in the classroom to help with teaching and activity preparation. We purposefully limit our class sizes to promote the highest quality of instruction. Classes are small enough for individual instruction and progress monitoring, but big enough for a dynamic exchange of ideas among students. Choose from our morning or afternoon schedules in any of our three locations in NW Austin, Cedar Park and SW Austin. 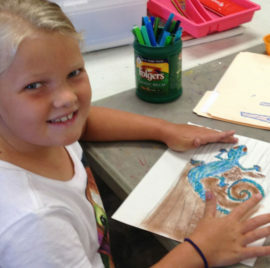 All 2019 summer art camps are $199 + a $35 supply fee. We have a 30-minute early drop and 30-minute late pick-up available for $55 week per child. A reservation is required in advance for this service. All 2019 camps are $199 + $35 supply list. 30 minutes early drop and 30 min late pick up available for $55 week per child. Reservation is required. All 2018 camps are $199 + $35 supply list. *Yes! You Can Draw Anything! 30 minutes early drop and 30 min late pick up available for $50 week per child. Reservation is required. 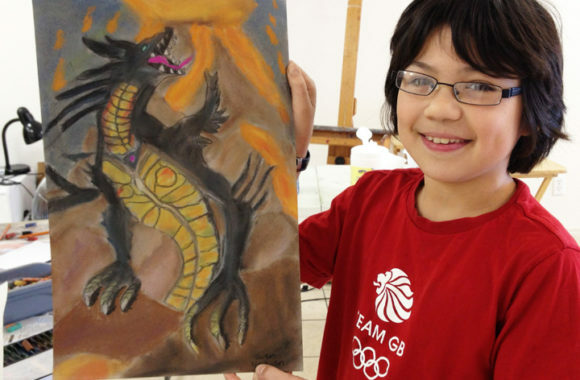 See some of the artworks created during the Summer Camps at Art Plus Academy. We provide a fun and relaxing environment for students to keep up with their art projects during the summer! Our half-day camps offer a wide range of options for kids 5 through 17 years old with schedules in the morning and afternoon. Artwork by a 9-year-old. Flowers. Soft pastel on paper. 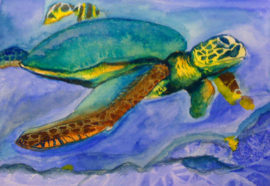 Watercolor techniques, art summer camp. 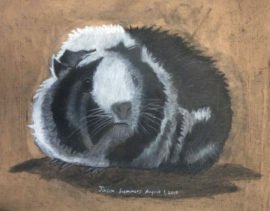 Drawing and painting animals at summer camp. 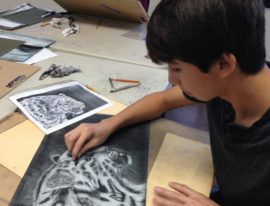 Art summer camp: Drawing and painting animals. Having fun at art summer camp. 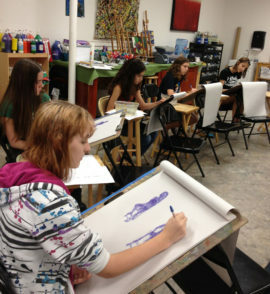 Figure drawing at Art plus Academy summer camp. Our half-day camps offer a wide range of options for kids 5 through 17 years old with schedules in the morning and afternoon. 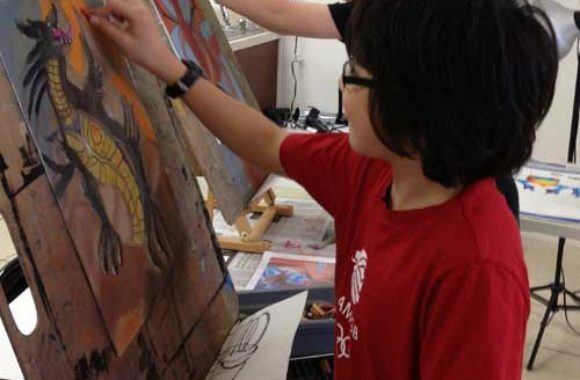 Choose from a myriad of options taught by experienced art educators and artists. Two locations in NW Austin and Cedar Park. All of our summer camps are theme-based, half-day camps for different age groups. Students select from a variety of themes (Nature, Art Masters, Fashion Design and Fantasy - although themes may vary from year to year). We provide a fun and relaxing environment for students to keep up with their art projects during the summer! Please check our Summer Camp schedule regularly for updates to our class offerings. We post summer camps in early February! Our ratio is one (1) teacher for every eight (8) students with a maximum of 16 students per camp. For camps with more than eight (8) students, a teacher's assistant will be present in the classroom to help with teaching and activity preparation. We believe that quality instruction requires a teacher-student ratio that allows individual instruction and progress monitoring yet is a big enough class for students to share ideas. I cannot attend the entire Summer Camp session (week). Can I attend only a few days? Our curriculum is developed to cover one week of instruction. Missing some sessions is not recommended. However, please understand that no prorated tuition, makeup classes, nor discounts are available if your child misses a session during the camp. Do you have early drop or extended hours after the Camp? We have a 30 minutes early drop and 30 min late pick up available for $50 week per child. Advance reservation is required. Please remember to pick up your child on time. There is a $2 fee per minute per child for children picked up after a 10 minute tolerance window. Is there a registration fee or material fee for summer camps? There is a supply fee of $25 for each summer camps. Do you offer reduced tuition or scholarships? No. Our small student-teacher ratio does not allow us grant scholarships or reduced tuition. Withdrawal from a summer camp session before the session begins are refunded minus a $30 cancellation fee provided you give eight (8) days advance notice. Due to instructor/school preparation costs, no refund will be granted seven (7) days or less prior to the summer camp session start date. Please be on time for your class. Do not "drop off" your child early or leave them at the studio past their class time. Our staff needs time to get ready for the next class or go home at the end of the day. We are not equipped to watch children that are not enrolled in a class. There is a $2 fee per minute per child for children picked up after a 10 minute tolerance window. 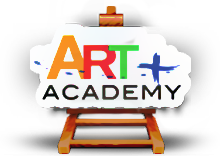 Are you looking for the right Art Camp? Let us nurture your child’s creativity.